Here's how I look at Michigan right now. I suffered through the countless John Cooper **** ups against Michigan. What was it 2-47-3? Something absurdly torturous like that. So a flip of the script is the soothing suave for those wounds. And Harbaugh has brought the criticism upon himself. Let's be honest, these bowl games are about the money, and they are thinly disguised as "rewards". If it were about rewards, Michigan and Michigan State would be flipped. Dantonio fairly called it out. Harbaugh couldn't contain himself (which I guess the regular season is over, so it is his time to shine). Why shouldn't Michigan State fans eat this stuff up and enjoy being the premier football team in the state? Is it petty, or is it just what Michigan had coming to them? 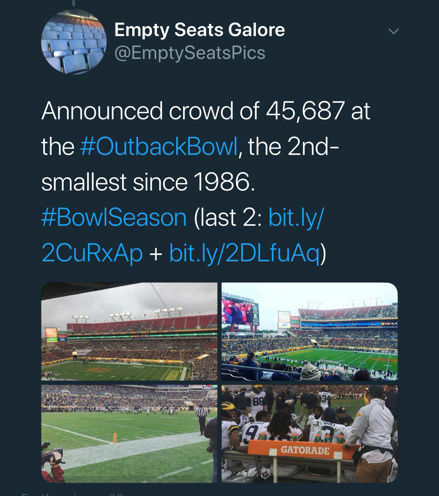 Bowl games are, and always have been, an exhibition game to make money. Full stop. More people want to watch Michigan than MSU. Why this is still surprising to sparty is beyond me. What Michigan "had coming to them"? Very interesting choice of words. There are times I want JH to STFU, to be sure, and also stick to football/ditch the gimmick off-season stuff. I honestly DGAF what Dantonio does in EL, don't care what he says about other programs, but I respect his player development. MSU and its base should certainly enjoy being a fringe top 25 football program while it lasts. They won't get the chance to go against a JOK under center or scoop up a last-second ST error every year, even though to them it may seem perfectly normal right now. LOL @ a "fringe" top 25 team - a typical UM fan statement when they're not even IN the top 25. I see the next solution in Ann Arbor under Harbaugh is a mass transfusion from Ol' Miss - nothing spells National Title like adding 4 players from Ol' Miss. They "should" beat MSU 75% of the time - recent games? 3-8. Since 1950? 36-30-2. Yep, history tells them they will win 75%. A B1GTen title every other year or so - recent record? None won for 14 years. Haven't even played in a B1GTen Championship game yet. And on and on and on about playoffs and national titles, etc. It's mass delusion and funny as **** to read as an outsider. I lived through the Bo era and the insufferable arrogance from Ann Arbor. Honestly I'm reveling in their struggles much as they reveled in beating our pants off for nearly 20 years. And a good thing for them that that did or that post 1950 record would look much worse. The best part of all is watching Harbaugh flail around for a solution and in the process make things worse. Rather than develop his recruits into a team he's been searching for a quick fix - Rudock, O'Korn and now the Ol' Miss guys. I snicker every time I hear "we're young" when they don't acknowledge MSU was even younger and still beat them. Or the "wait until Jim gets his guys in there" while Kirby Smart is in the CFB in year 2. When do the excuses run out? I thought falling from Harbaugh's normal perch of 3rd to 4th place in the East might do it. I was wrong, so I guess we'll just have to wait for the straw. Whenever it does happen the meltdown will be epic. 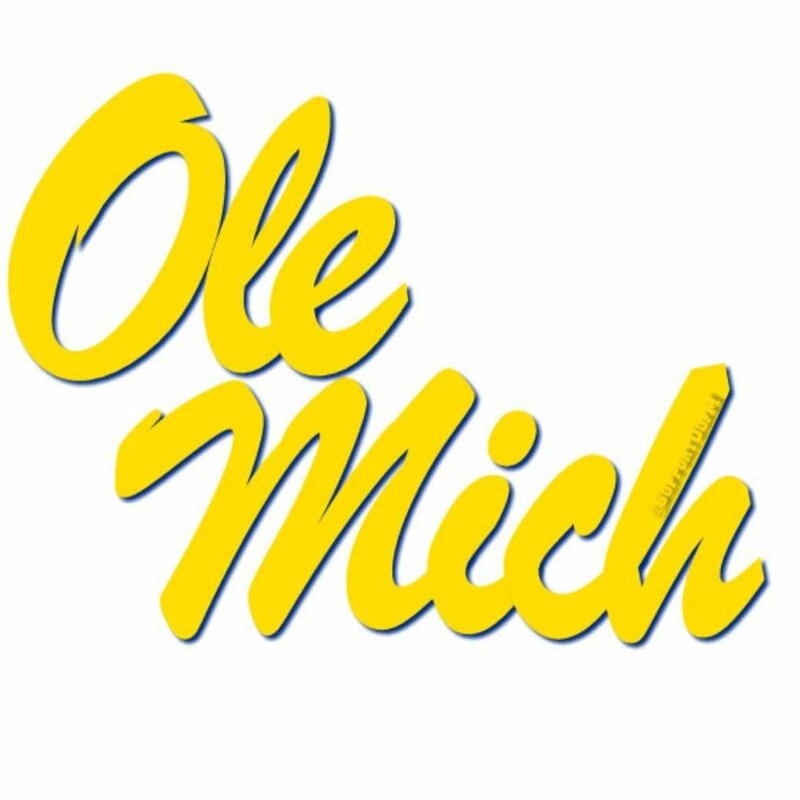 Biff, nobody will ever confuse the Michigan fanbase for being attractive. Even the cheerleaders are less-attractive than the average CFB unit. This is not the case with South Carolina, which is one reason I was happy Michigan got the Outback Bowl nod. Gotta have something to take pictures of at halftime. I said top 25 PROGRAM, LG. There is a difference between a top 25 ranking on any given year and a top 25 program, and yes, MSU is in but barely. If MSU had the chance to add a Greg Little or Shea Patterson, you don't think they would? No need to be sour grapes. Again, LOL MGOBLOG. Not a fan, not a subscriber. Again, LOL having to go back to 1950 to still come up with a losing record. Why bother? 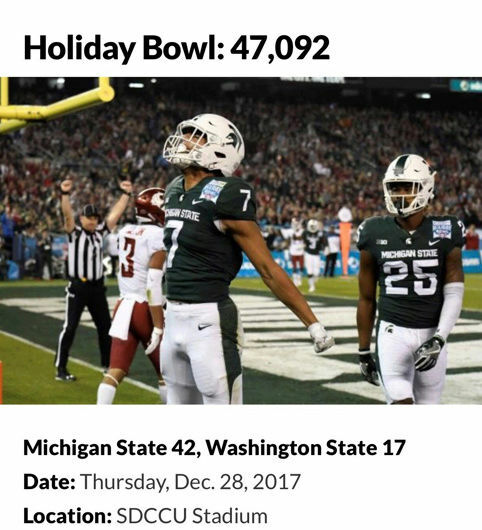 MSU fans have every reason to be proud of their three B1G title appearances, but why act like the world is ending because they can't play the sixth-best SEC team in a bowl game? Some of Harbaugh's QB shuffling hasn't worked and injuries are a *****. Kirby Smart? Like Mark Richt never existed at UGA, and look at what he is doing in Y2. After RR's first two years, it is hard for believe that Michigan fans could really have a worse meltdown. Hoke came in and scrapped the best part of RR's legacy at Michigan--making inroads in Florida with recruiting and the offense. The reset button is what it is, but if Harbaugh leaves the next coach has far more to work with than any Michigan coach since Carr took over for Mo. Nothing wrong with various fan bases enjoying a run of success against a rival. Go right ahead and revel in it. Everyone knows the anti Michigan and anti Harbaugh talking points. Not sure how taking rudock and O’Korn as transfers in year 1 is an example of not developing his own recruits. He didn’t have any of his own to develop at the time. The patterson thing is interesting. He could certainly just put his eggs in the Peters and McCaffrey basket and see what happens. But I think the plan all along was for speight to have been in place for 2018 and for Peters and mccaffrey to compete for the 2019 job. Taking Patterson would essentially replace speight. I agree that saying “we’re young” is silly. Lots of teams are young. “Wait until Jim gets his guys in there” is a fair position, though. It’s not so much that he couldn’t win without his own players. The team was very good last year without many of his players contributing. You can talk about Kirby smart doing well in year 2, but Harbaugh did well in year 2 also. Unfortunately for Michigan the hoke downfall and recruiting failures were bound to crop up around now. Did Georgia have the same problems under richt? I don’t know. 3rd place in the east is a silly criticism when first and second place are playing in the playoff and in the rose bowl. Third place in the division was still good for a new year’s six bowl. An overtime loss to a CFP team kept them from being in the fancy championship game and CFP. If they stop Barrett short by another half yard is Jim suddenly great, but because they didn’t he isn’t? That doesn’t seem to make a lot of sense to me. If you think Michigan under Harbaugh is going to fail, that’s fine. I disagree. If you think that makes me delusional, so be it. I will take 8-4 in a down season every day over 3-9 in a down season. (3-9 is a reference to 2008 Michigan, not 2016 MSU btw). Richt's last three recruiting classes at UGA were ranked 6th in '15, 8th in '14 and 12th in '13. Smart had a treasure trove of football talent to work with. The '16 class was ranked 6th, and Richt very much had a hand in that class before he was dismissed 11/30/15 after going 9-3. 9-3 gets you fired at UGA, but gives MSU bragging rights apparently. Richt is 19-6 at Miami, 10-2 this season. What’s wrong with that site? I don’t believe they have subscriptions. Seems to provide pretty good coverage to me. I never felt like they added much from what I got from the Scout site. I will admit I am completely biased, as I have friends and people I have done work for who are and have been on/worked with the site for years and years. I know I've mentioned this to you before, but the series is 8-3 or something like that over the last 11 meetings. It ain't all luck. Its simply more that MSU has been the better team. Its OK to admit it. What’s wrong with that site? They don't have Mickey's photos. Photos which sometimes include cheerleaders. I guess it depends on what kind of content you are interested in. For whatever reason, I was just going through Dantonio's tenure. Which is now elevenyear. Ugh...., that was awful. Did MSU cease to exist before Dantonio? Will they close up shop when he leaves? Dantonio is a good coach, no doubt about that. He deserves all the possible credit for building his program. But I’m also not all that bothered by what has happened for the past 11 years. I don’t expect to see another 3 years of richrod or 4 years of hoke any time soon, both of whom are not as good as Dantonio. Speaking of "treasure troves of talent" - how many NFL draft picks did Hoke leave in the cupboard? Make sure to count all of the Harbaugh years not just the record setting year with 11(!). So to in any way claim that the "cupboard was bare" for Harbaugh is ignoring reality. I was trying to not blatantly cherry pick, that year seemed to work because of MSU's admission to the B1GTen. (Which UM fought tooth and nail) Each school had their runs within that time frame with MSU dominating by 15-4 or something prior to Bo. Then Bo owned MSU, I know I was in school and just out then so got to suffer through it all. And the last 10 years have been MSU's again. I could have cherry picked and went back to get a winning record, that wasn't my goal. My goal was to show that even including those streaks of dominance that this has been a pretty close rivalry for nearly 70 years now.